Clifford Carwood Lipton, 81, of Southern Pines died Sunday (Dec. 16, 2001) at FirstHealth Moore Regional Hospital in Pinehurst. A memorial service will be conducted at 2 p.m. Wednesday at Brownson Memorial Presbyterian Church with Dr. Grady Perryman and the Rev. David Cagle officiating. 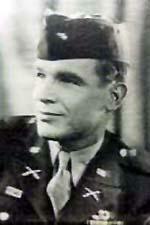 Mr. Lipton was a 1938 graduate of Huntington High School in Huntington, WV. He graduated from Marshall University in 1948 with a bachelor’s degree in engineering science, majoring in physics. What a wonderful man. After watching the Band of Brothers, it is so moving to think about what these brave men did for this country. Mr. Carwood certainly was one of the members of the greatest generation. Rest In Peace sir.